Slept to 10 am. We needed it! Had a rather basic breakfast at the hotel before dashing out. Found the metro to Asakusa, but decided at the last second to get off at Ueno, to visit the market. 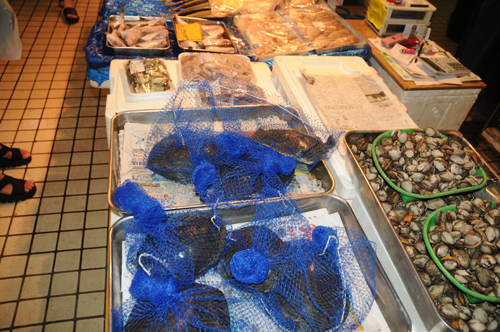 We felt rather sorry for the turtles, alive and in blue plastic net bags, a few were really fighting to escape. We could have bought cow stomachs, hens and pigs feet, many exciting fish and fruits. A few interesting shops but we restrained apart from a female overgarment, four pieces of delicious fruit, two beers and four excellent small Japanese pork kebabs, we refrained from purchase. 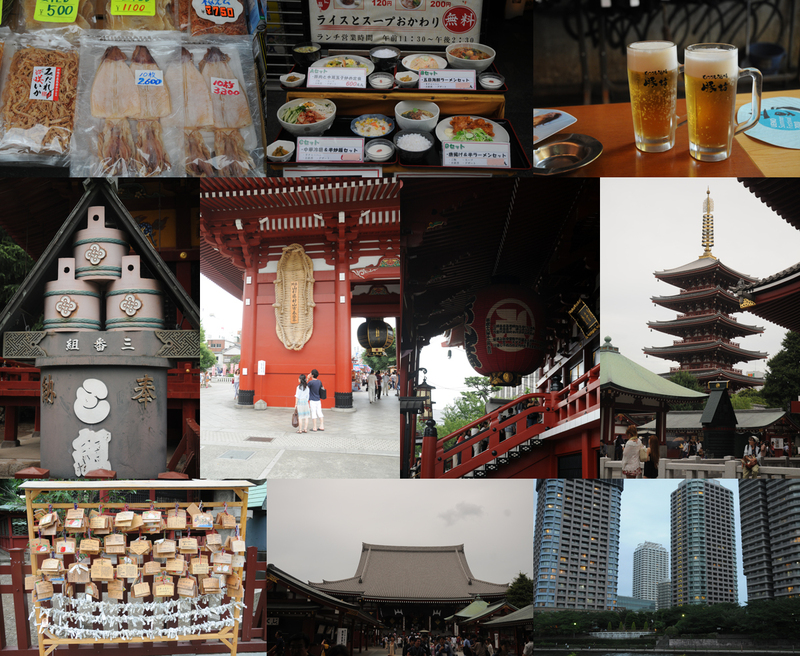 From here we walked to our original destination, Asakusa, window shopping in the "home shrine" and "kitchen equipment" districts before visiting Sensō-ji a very fine temple, a very small but excellent museum of traditional crafts. Andrea has seen three cats today, so she's smiling :-) And David found one lifer - Black-tailed Gull which is very long-winged and long billed. We cruised down the river towards home followed by a metro trip and dinner at a small, local, Japanese Tempura restaurant - actually rather good. All the other guests were single men and said nothing, not even when paying! 10pm and were are ready to hit the hay. Only 12 hrs since we arose this morning.